Neither the packaging nor the website mention words like cholasma, melasma or hyper-pigmentation in regard to this product (at least any I could find). However, several reviewers on their site, on amazon and other selling sites do mention improvement for these issues. There are also several positive reviews from cancer survivors on how it benefited their skin after chemotherapy. Purpose: Yes, this product did achieve its purpose for me. Skin Lighten is a natural fade and age spot cream. "This therapeutic herbal treatment contains ingredients shown to lighten the complexion, fade age and liver spots and even out skin tone." Price: $24.99 for 2 oz. at derma.com. Although I wish this was closer to $19.00 it is well worth the price. Note, this product is available between the prices of $16.26 - $27.99 at various online stores, the lowest being $16.26 at Walgreens.com (as of July 2014). Absorption: Glides on easily and absorbs nicely. No sticky residue. Blends well with daily and evening moisturizers. Did not interfere with foundation. Internet Response: Positive. I scanned and researched a variety of reviews and product selling sites, a significant amount of the reviews for Skin Lighten were positive and above average. Most consumers ranked the product between 4.5 - 5 stars. Many new users reported seeing results within the first 2-3 weeks of use, I certainly did (see before and after picture below). The majority of consumers said they would continue buying the product and would recommend it to a friend. Note: I did find a nice handful of cancer survivors stating this product was useful in removing, "the mask of chemo". Cons: I personally did not identify a con for this product. However, it would be nice if this was infused with a broad spectrum SPF. I took these photos myself and they are of my own skin (I wish I had a better camera). These pictures are not enhanced, they are simply cropped and aligned to show the same area. My skin was freshly washed for the photos and I was not wearing any skin products or foundation at the time of the photos. Important: Skin Lighten is not the only product I am using in my current regimen, this would not be realistic. I have recently started aggressively targeting my melasma with natural treatments and over the counter products. However, I strongly feel Skin Lighten has played a significant role in evening out my complexion as I use it a minimum of twice a day. I have sincere confidence in the clinically proven ingredients in this product and I cannot wait to update the photos with my results. 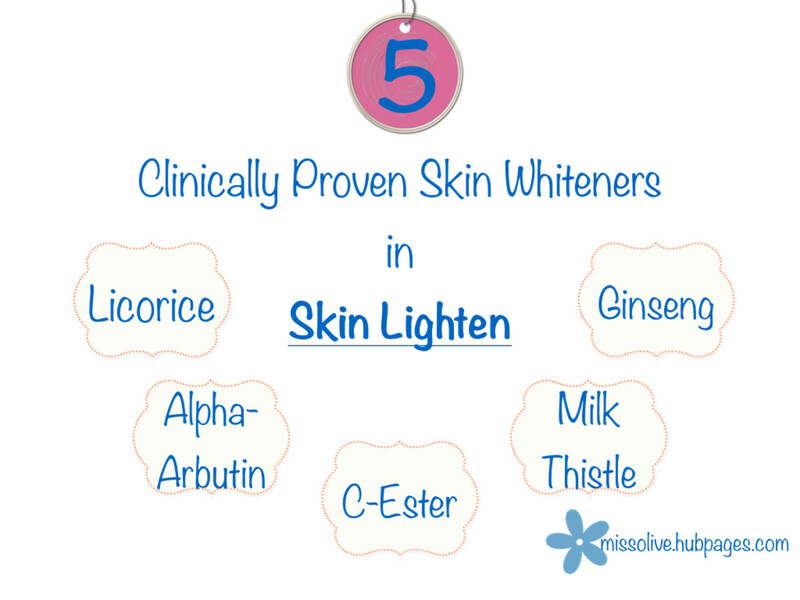 Descriptions and supporting studies for each of the skin lightening ingredients in Skin Lighten. 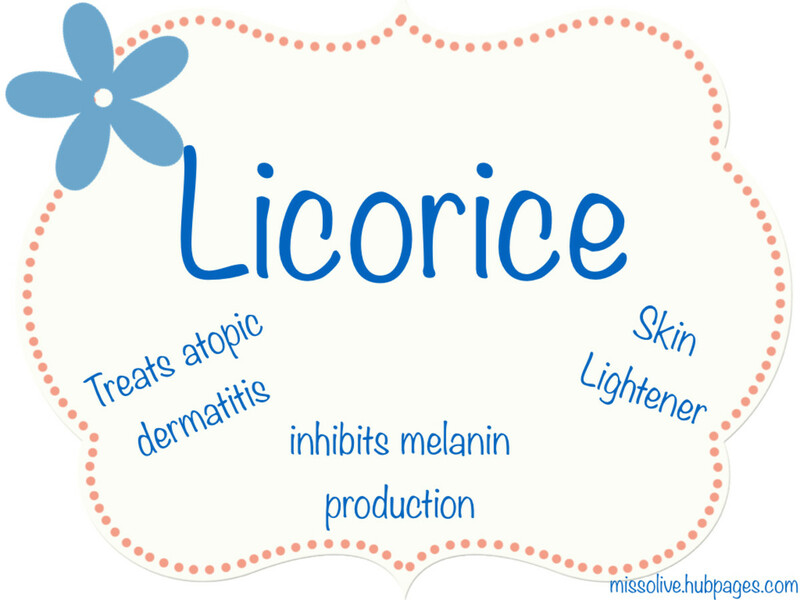 Topical licorice is a skin lightener and has been used to treat atopic dermatitis. Licorice is a perennial plant with purple flowers. The licorice plant also produces a fruit in the form of a pod with seeds. Most of the world's supply of licorice comes from Southern Europe and parts of Asia. Key Point: Licorice inhibits melanogenesis, the production of melanin. Melanin creates the pigment in our skin. Excessive melanin accumulation can be caused by sun exposure, hormones, an inbalance of the endocrine system, and medications. Bhushan P., et al. "Licorice: Glycyrrhiza glabra Linn. 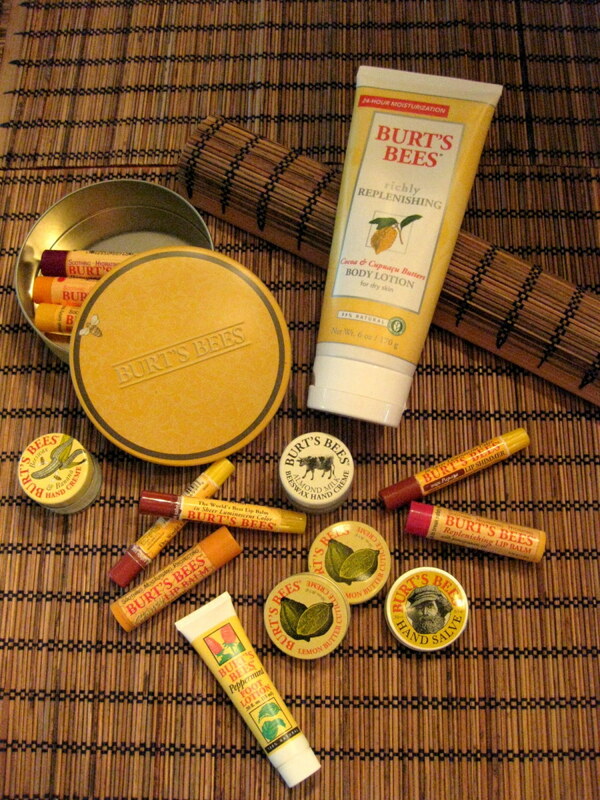 Used for Dermatitis." Bioactive Dietary Factors and Plant Extracts in Dermatology. Humana Press, 2013. 433-438. Results: Glycyrrhiza glabra, found to be effective for the treatment of atopic dermatitis and associated signs. Glycyrrhizin and glycyrrhizic acid have a significant inhibitory effect on melanogenisis. Ivosevic-Zaper, Julijana, et al. "Topically applied glycyrrhizic acid causes hair removal in rats." Pharmaceutical biology 0 (2014): 1-4. Results: After 3 d, 20–30% of the treated areas were free of hairs. After treatment for 6–12 d, 90–95% of the hairs were gone. Findings suggest glycyrrhizic acid as an interesting molecule for treating hypertrichosis in humans. Key Point: Human melanocytes exposed to arbutin showed decreased tyrosinase activity and melanin content. Also showing positive results in inhibiting melanoma. melanocytes: are the pigment (melanin) producing cell. tyrosinase: controls the production of melanin. melanin: is the actual pigment. Arbutin is extracted from the bearberry plant and is closely related to hydroquinone. It is also found in cranberries, blueberries, wheat and pear skin. Alpha-Arbutin is the synthetic form of Arbutin and is highly effective in controlling melanin production. Funayama, Masataka, et al. "Effects of alpha-and beta-arbutin on activity of tyrosinases from mushroom and mouse melanoma." Bioscience, biotechnology, and biochemistry 59.1 (1995): 143-144. Sugimoto, Kazuhisa, et al. "Inhibitory Effects of. ALPHA.-Arbutin on Melanin Synthesis in Cultured Human Melanoma Cells and a Three-Dimensional Human Skin Model." Biological and Pharmaceutical Bulletin 27.4 (2004): 510-514. Polnikorn, Niwat. "Treatment of refractory dermal melasma with the MedLite C6 Q-switched Nd: YAG laser: two case reports." Journal of Cosmetic and Laser Therapy 10.3 (2008): 167-173. Msika, Philippe, and Nathalie Piccardi. "Depigmenting or brigthening cosmetic composition comprising at least one oxazolin as an active ingredient." U.S. Patent No. 8,722,023. 13 May 2014. Valazquez, Alice B. 98 Beauty Treasures Of The 21st Century Women: Look Attractive And Beautiful Everyday With This Complete Beauty Guide And Discover Ultimate Health And Beauty Tips For Women Of The 21st Century. KMSPublishing, 2014. 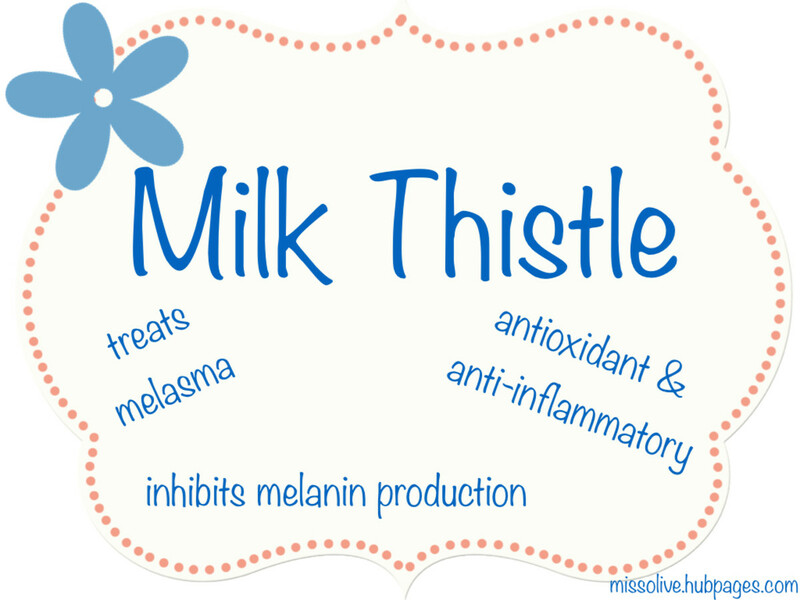 Milk thistle has show positive results in a variety of dermatology based studies and is one of a few effective agents available for topically treating melasma. "Silymarin showed tremendous improvement of melasma in a dose-dependent manner, and was effective in prevention of skin damage caused by U.V. sunlight." Altaei, Tagreed. "The treatment of melasma by silymarin cream." BMC dermatology 12.1 (2012): 18. Milk thistle is an annual and is native to Asia and Southern Europe. Milk thistle extract comes from the seeds and has been used in herbal medicine for decades, centuries even. It is commonly used for treating liver disease and hepatitis. Milk thistle extract is an antioxidant and anti-inflammatory liquid, it also aids is sun damage prevention. Katiyar, Santosh K. "Silymarin and skin cancer prevention: anti-inflammatory, antioxidant and immunomodulatory effects (Review)." International journal of oncology 26.1 (2005): 169-176. Mamalis, Andrew, et al. "The active natural anti-oxidant properties of chamomile, milk thistle, and halophilic bacterial components in human skin in vitro." Journal of drugs in dermatology: JDD 12.7 (2013): 780-784. Uliasz, Annemarie, and James M. Spencer. "Chemoprevention of skin cancer and photoaging." Clinics in dermatology 22.3 (2004): 178-182. Ginseng has shown promising results in pigment studies: "The ethanol extract of ginseng seed showed an excellent inhibitory effect on melanin production" Lee, Y., et al. "Inhibitory effects of ginseng seed on melanin biosynthesis. "Pharmacognosy Magazine 10.38 (2014): 272. Lee, Y., et al. "Inhibitory effects of ginseng seed on melanin biosynthesis. "Pharmacognosy Magazine 10.38 (2014): 272.
, Wenyuan, and Jie Gao. "The use of botanical extracts as topical skin-lightening agents for the improvement of skin pigmentation disorders." Journal of Investigative Dermatology Symposium Proceedings. Vol. 13. No. 1. Nature Publishing Group, 2008. Binic, Ivana, et al. "Skin ageing: natural weapons and strategies." Evidence-Based Complementary and Alternative Medicine 2013 (2013). Ong, Michal WS, and Howard I. Maibach. "40 Skin Whitening Agents. "Handbook of Cosmetic Science and Technology (2014): 423. Caprylic/Capric Triglyceride: an emollient derived from coconut oil. 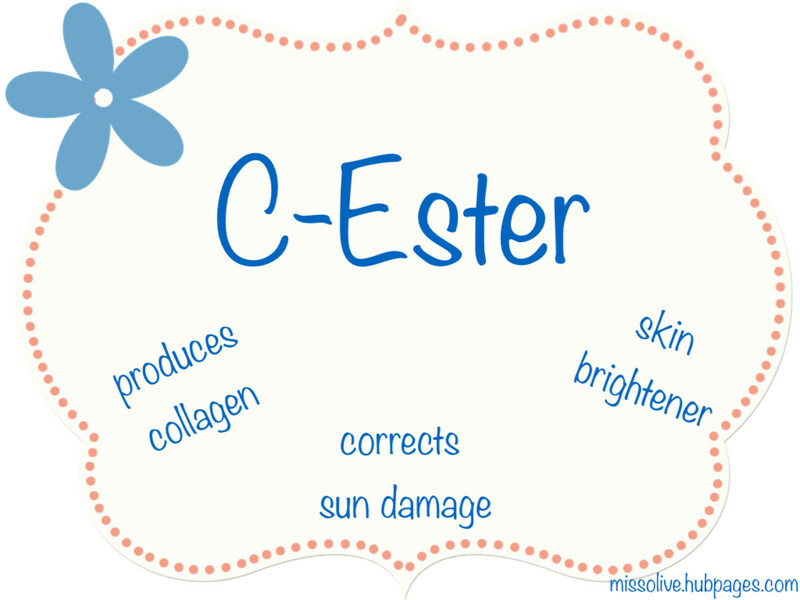 Also an anti-inflammatory and known to aid in repair of the skin's surface. Stearic Acid, saturated fatty acid commonly used as a softening agent. Cetyl Alcohol, fatty alcohol, commonly used as a moisturizer. Good for skin irritations such as rash, burns and radiation therapy. Stearyl Alcohol, fatty alcohol derived from fatty acids. It is usually derived from coconut oil and shea nuts. It is a multi-purpose ingredient and functions as an emollient, humectant and emulsifier. Glycyrrhiza Glabra (Licorice) Root Extract, aids in lightening the skin through the inhibition of melanogenesis. Silybum Marianum (Milk Thistle) Extract, aids in lightning the skin through the inhibition of melanogenesis. It also serves as an anti-inflammatory agent and an antioxidant. Zinc Oxide, best known as a significant ingredient in calamine lotion (the other being iron oxide). Zinc Oxide aids sunscreens as a UVA and UVB reflector. 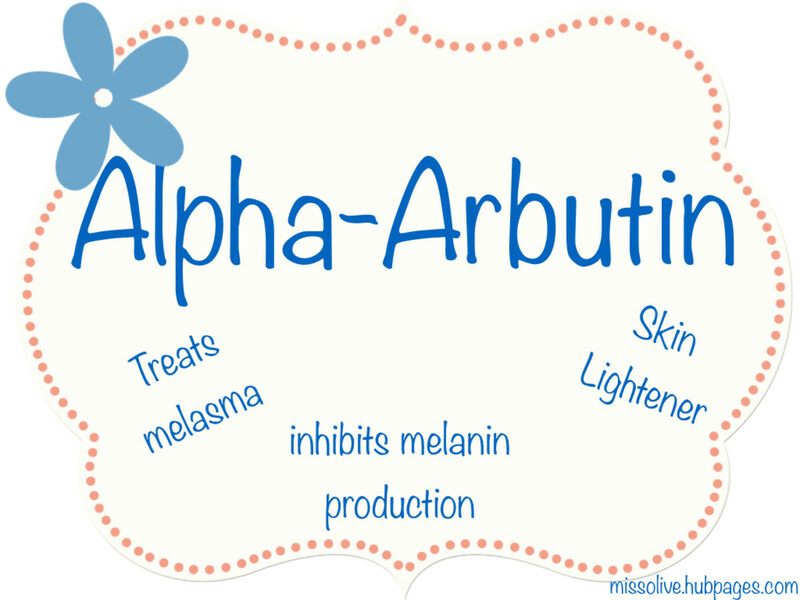 Alpha-Arbutin, aids in lightening the skin through the inhibition of melanogenesis. Arbutin is derived from the bearberry plant and is clinically proven to prevent the formation of melanin. Ascorbyl Palmitate (C-Ester), an anti-aging antioxidant and fat-soluble form of Vitamin C. Promotes the production of collagen and reduces blotchiness. Glyceryl Stearate and Peg-100 Stearate, an emulsifier derived from glycerin. Aids in creating stability across ingredients. Tocopheryl Acetate (Vitamin E), an antioxidant. Multi-functional: protects skin from UV damage, reduces free radicals caused by sun exposure, prevents cell membrane damage, and protects natural moisture and oil barriers within the skin. Retinyl Palmitate (Vitamin A), an antioxidant and retinoid. 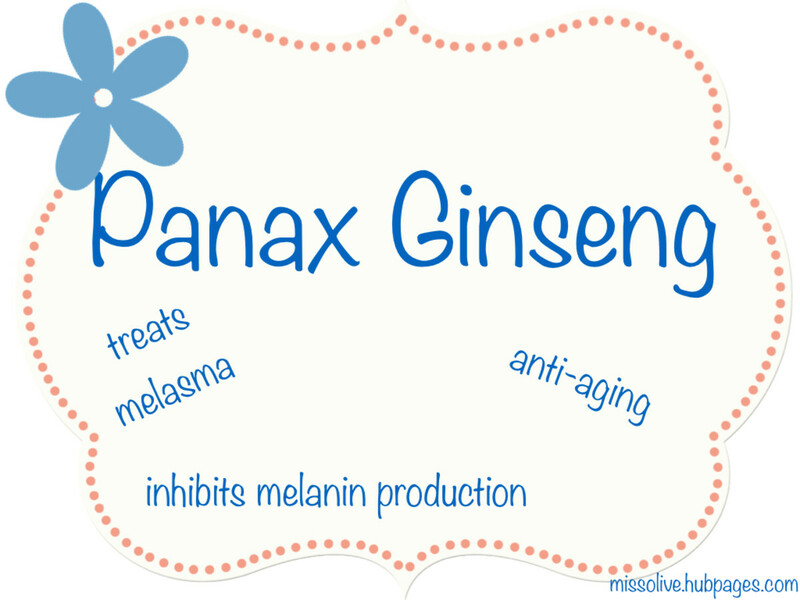 Panax Ginseng Root Extract, an antioxidant and a skin lightener. Inhibits melanin. Showing positive results in anti-cancer studies. Phenoxyethanol, a preservative. Note, occurs naturally in green tea. Ethylhexylglycerin, a preservative and skin conditioner. Daily use of the SonicDermabrasion brush with the PCA Pigment Bar*. I follow all cleanings with Skin Lighten and either Olay Regenerist Night Cream** or derma e's DMAE Skin Firming Cream***. I treat excessive dryness with Avocado Oil. Sun Protection: Ultra Sheer® Dry-Touch Sunscreen Broad Spectrum SPF 100+. 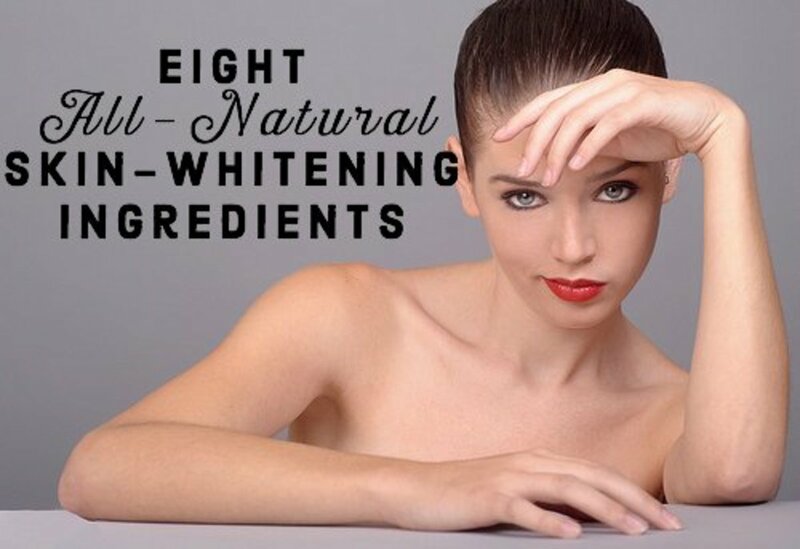 There are specific ingredients in these products known to aid in cell turnover, skin lightening and skin tone. *Kojic Acid, Azelaic Acid and Niacinmamide. ***DMAE, Alpha Lipolic Acid, C-ester, Panthenol and Vitamin A. 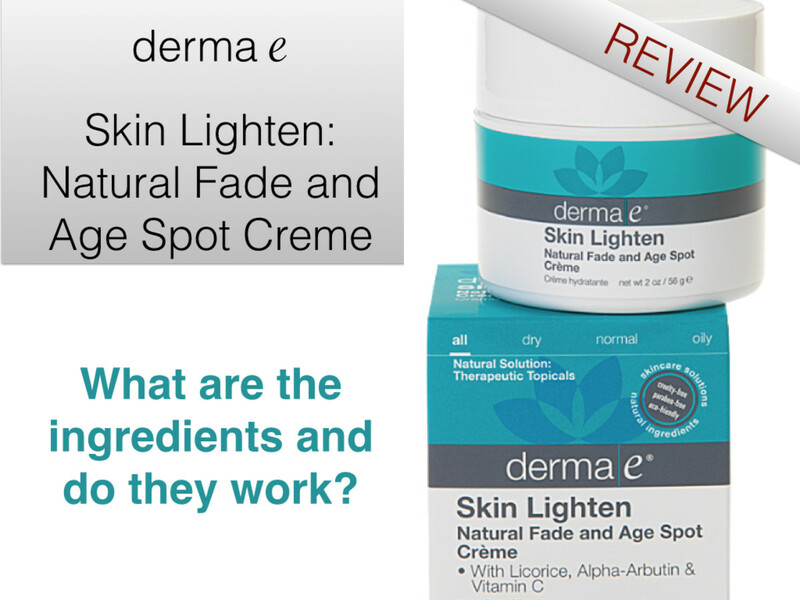 This review was an independent review and was unsolicited or funded by derma e. Skin Lighten products were purchased by the reviewer. The analysis of the ingredient list was researched and assessed by the reviewer. The ingredient glossary was created by th author through a 3 point research process. Related studies for skin lighteners were cited if they were beneficial to the primary purpose of the ingredient and were listed at the author's discretion. Thanks for this! Very helpful and loved that you posted the research articles as well. I was wondering if you might share what else you do/use along with Derma e to help fade your melasma. I've just recently had it start to appear on my upper lip and it is so embarrassing! . vocalcoach; Audrey, I went back over to Derma e and they do have a line of products with glycolic acid, it is labeled, "Anti-wrinkle Vitamin A". 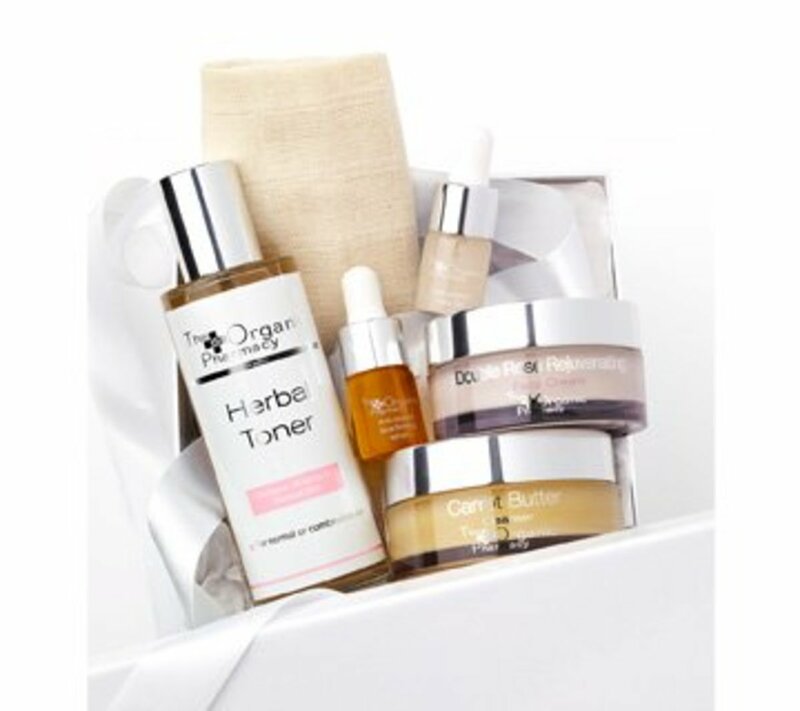 The line contains a cleanser, scrub, mask and toner; with glycolic acid. 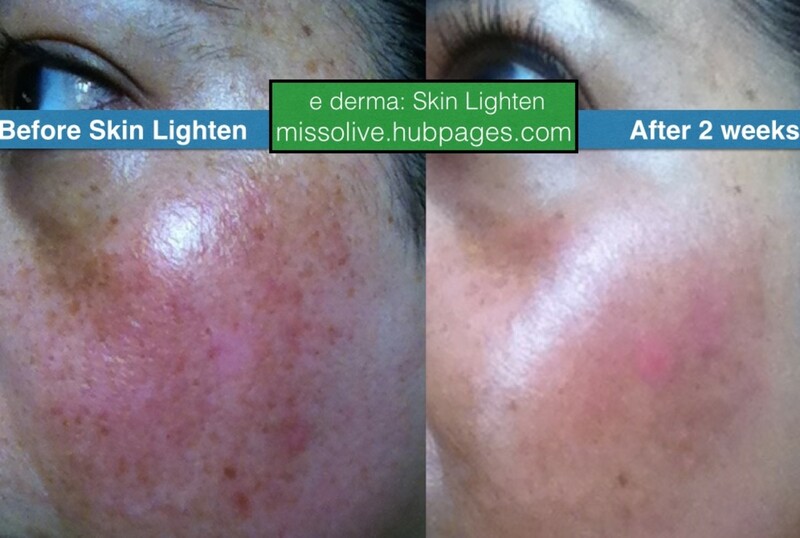 Let me know if you try the derma e Skin Lighten, I truly like it. It goes on nicely and absorbs well. Hello missolive. This is such a great, complete and informative review. Where do you find the glycolic acid? I'm going to follow your regime. I'll print this hub so I can keep it close at hand. I'll probably order the derma skin off of your amazon capsule. Thanks so much. teaches12345, thank you very much for reading and commenting. I hope you enjoy this product as much as I do. I love natural products and this looks like one I could use for the better. There are so many creams out there that harm the skin. I've tried a few that have actually made my complexion worse. Thanks for sharing this information. Rosie writes, how exciting! I hope you see all the benefits I have seen. I'm contemplating ordering their set....cleanser, toner, moisturizer.etc. It is cheaper if you buy it in a set. I look forward to hearing back from you. Best wishes to you. I ordered this product yesterday. Hopefully I will be reporting back good results. Thanks. Rosie Writes, so far so good, I am very happy with the results and the ingredients speak for themselves. I try to avoid hydroquinone myself. I'm also seeing great results with the PCA Skin Pigment Bar. Lots of great ingredients in there too, but it does seem to dry the skin. I'll update as I go along. I have been looking for a product like this one without the harmful hydroquinone in it. This sounds like a winner. Hi Susan, I really think you'll like it. It feels great on the skin and it certainly brightens it up. Thanks so much for reading and commenting. I could sure use some of this and I'll look for it here in Canada. Thank you for introducing me to this product and for the great review!